Most cars. Upon request. Not valid with any other offers or coupons. With coupon only. Coupon void if altered. Expires 05/04/2019. *If inspection reveals the need for brakes. Not valid with other offers or coupons. Valid with coupon only. 0VP001 Coupon void if altered. Expires 05/04/2019. Not valid with other offers or coupons. 0VP001 With Valpak® coupon only. Coupon void if altered. Expires 05/04/2019. Hogan & Sons has been a family-owned auto service center since 1984 and we are proud to be a trusted source for auto repair in Leesburg, VA. Our commitment to exceptional car care and customer service means we will address your specific auto care needs while keeping your budget in mind. To show our appreciation, we’re offering coupons for oil changes and auto maintenance so you can cut your car repair costs. Hogan & Sons’ mechanics supply comprehensive auto repair, including brake service, car battery service, engine repair and tire repair. 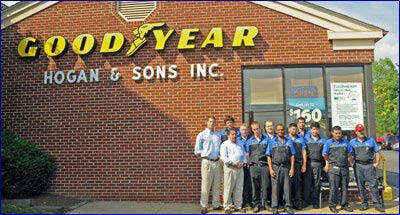 If you need new tires, we stock a large selection of the best tires from Goodyear, Dunlop, Michelin and more. Stay on top of your car maintenance schedule for less with car care coupons from Hogan & Sons in Leesburg. At Hogan & Sons Tire and Auto, our customers enjoy quality car repair and exceptional customer service. 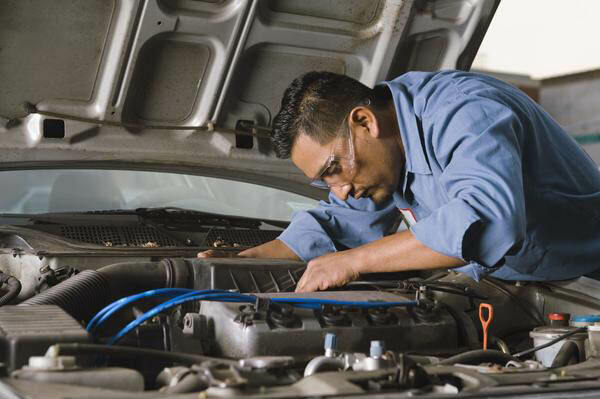 Our family-owned auto repair and tire services shop provides an extensive car care services. We offer FREE services such as customer shuttles, alignment checks, belt and hose inspection, brake checks and pre-vacation auto inspections. BBB-Rated B+. Auto Maintenance, State Inspection, Mufflers, Tune ups, Spark Plugs, Air Filters, Fuel Filters, Shocks and Struts, Auto AC Service, Oil, Lube & Filter, Brake Service, Cooling System (Radiator), Drive Axles, Exhaust & Emissions Services, Steering & Suspension, Fuel System Service, Tire Alignment, Tire Rotation, Tire Repair, Brand Name Tires. Email Club, Savings Programs, Website Coupons, Goodyear Credit Card, Same Day Service (most auto repairs), Free Customer Shuttle, Free Wi-Fi and Coffee for Waiting Customers, Free Alignment Checks, Belt & Hose Inspection, and Brake Checks, Free Pre-Vacation Checks, Towing Service Available , ASE-Certified Technicians. Goodyear, Toyo Tires, Firestone, BFGoodrich, Michelin, Bridgestone, Dunlop. Hogan & Sons has multiple locations across Northern Virginia, including our Leesburg shop. We're easily reached from the nearby towns of Ashburn, Purcellville and Lansdowne, VA. Also find us in Falls Church, Fairfax, Herndon, Purcellville, South Riding, Sterling and Winchester.